As my daughter went through the books in the Bob Books First set, she was doing a great job. Her writing was better, being able to form the letters well and her letter/sentence spacing was good. She was doing a great job copying the text, but I wondered if she was blindly copying. Did she understand the words she was writing? I figured a great measurement of her understanding was her ability to use words in her own sentence. For the 2nd set of Bob Books, I had my daughter read less and create her own sentences. Instead of reading 4 pages, she read 2 pages. Then I underlined one word per page. She used the words to make her own sentences. She would usually say her sentence out loud before writing it down. Sometimes the sentence made no sense, but then she would then ask me for examples, which I gave her. Her final sentences were fun to read, and I gained more insight on her views. For example, she wrote many sentences about pets even though she does not usually talk about them and we do not have any. By the end of the fourth book, my daughter was able to form her own sentences and would try to spell out words herself. Many times she spelled the word wrong, oftentimes forgetting the vowels but I did not correct her. I reasoned that the words on the page were more important. Pick out the 2 pages that your child will read. Have him read the sentences. Let him sound out the letters . Have him struggle but not get frustrated. Repeat the 2 pages five times or less depending on whether or not she is sounding out the words. The goal is to have her recognize the words and say them. You do not want her to sound out the words. By the fifth time, if she is still sounding out the words, don't worry and move on to the next step. Using the writing journal, have your kid copy the two sentences from the two pages. Notice that she used "has" instead of had. I did not make her fix it as long as the sentence makes sense I passed her for the word. She spelled paper "papr". I did not correct her spelling because she tried to sound out the word and I feel that her spelling is close enough. When talking to credentialed teachers, they tell you that as long as they are trying to sound words out, it is unnecessary for them to be perfect. Too much criticism will discourage them. 6. Have your child read all 4 sentences. Praise your child for doing a great job. Check to make sure that all the circular letters are nicely and evenly rounded. Straight lines should be straight. If the letter doesn't look good, have the child erase the letter completely and redo it. Writing and composing sentences were great interactive reading activities for her. I know that the steps I outlined are not "interactive" in the -- 2 way flow between computer and computer user meaning--, but it is a great interactive reading activity between me and my daughter. I am able to pitch her funny sentences and she responds with sentences that exhibit her personality. 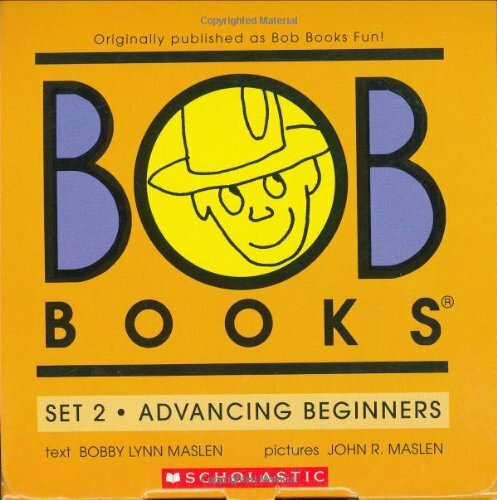 My daughter completed these 5 steps for Bob Books set 2. She is very proud she finished the second set. She keeps telling me "I can read a book now! I can read 24!". Her reading and writing improved greatly and she is excited for set 3. In set 3, I plan on testing her to spell words. Stay tuned for the results.